Other: Sit in or take out- in the summer there is a back terrace! 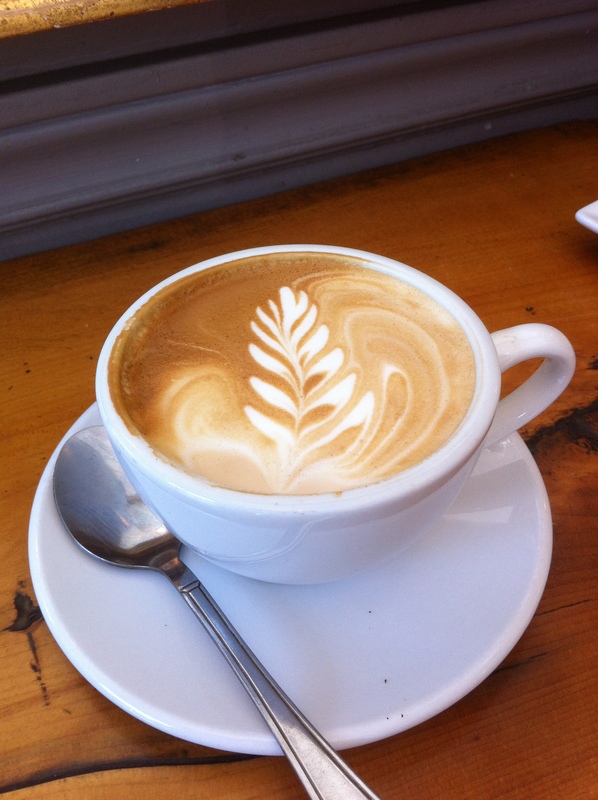 I’ve heard lots of great things about the coffee at Ezra’s Pound. And yes, it was pretty good. And organic. And fair trade. And served in environmentally friendly packaging. And all that stuff. I have to make clear: I am not a coffee connoisseur. However, both my partner and I have had a few decaf lattes (me) and Americanos (him), and neither of us were mindblowingly impressed. It was good, it was pretty pricey (my latte was in the 4-ish dollar range, the Americano was $2.86), and that was about the extent of it. In terms of the food, we ordered “breakfast plate”- 4 slices of toasty baguette, two generous triangles of old cheddar (?) 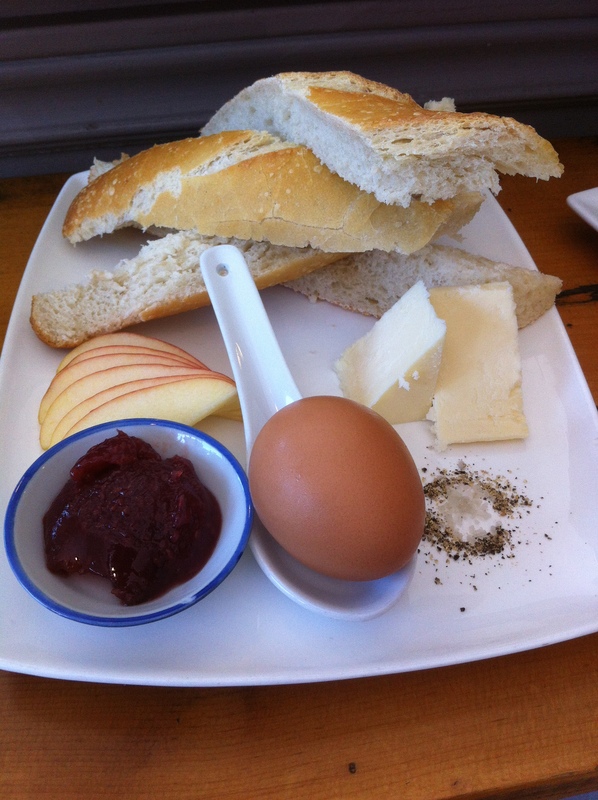 cheese, a third of an apple (sliced), a hard boiled egg, and some preserves. The presentation was nice and everything tasted just as it should, but it was a simple plate. My partner got a scone…again, good. The staff were pleasant enough and the ambiance was nice– it felt like a Parisian cafe and people were lazily drinking their coffee as they chatted with friends or worked at their own table. Overall, we had a pleasant experience but I wouldn’t be in a hurry to go back…unless it was summer and I just wanted to relax on a cool leafy patio with an espresso and my laptop. This entry was posted in Coffee/Tea Shop, Restaurant Types and tagged americano, baked goods, coffee, espresso, latte. Bookmark the permalink.